Fibroids or uterine leiomyomas are benign tumors or non-cancerous growths that develop from the smooth muscle layers of the uterus. Uterine fibroids affect nearly twenty percent of all women between the ages of twenty and fifty. However, due to its mostly asymptomatic nature, a lot of women suffer from uterine fibroids without actually being aware of its existence. High estrogen and / or progesterone (female hormones) levels and obesity can significantly increase a woman’s risk of having uterine fibroids. There are numerous treatment measures for uterine fibroids. Detailed medical research has established a positive link between simple dietary changes and uterine fibroids. 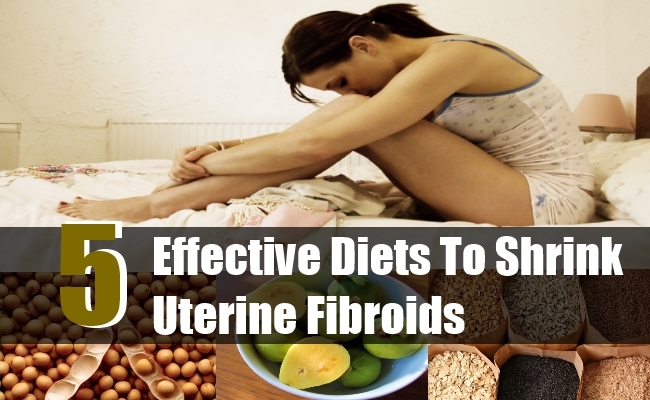 Making intelligent changes to the diet plan can actually help to shrink uterine fibroids. This article basically explores specific diets which can help to reduce or shrink uterine leiomyomas or uterine fibroids. This is one of the top foods which can help to shrink painful uterine fibroids. Soybeans are a rich source of phyto-estrogen. Phyto-estrogen is an estrogen like chemical compound which is found in a wide variety of plant based foods. Phyto-estrogen helps to balance out the high estrogen levels of the body by binding to estrogen receptors. Too much estrogen or estrogen dominance has been linked to uterine fibroids. Reducing estrogen levels of the body by eating phyto-estrogen foods can help to shrink uterine fibroids. Besides soybeans, pinto beans, alfalfa and black beans are also rich sources of phyto-estrogen. Consume plenty of cabbage, which contain high amounts of indoles, to shrink uterine fibroids. Cruciferous vegetables like cabbage contain a compound called Indole-3-carbinol. This compound I3C can covert estrogen from its strongest form (estradiol) into its weakest form (estrone). 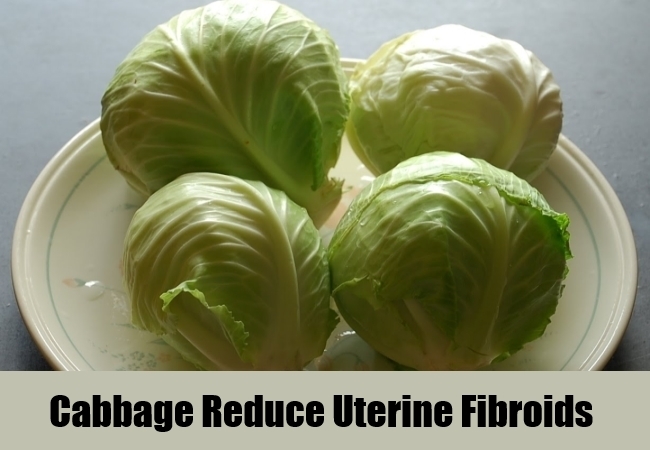 Lowering overall estrogen levels of the body or reducing estrogen dominance by eating indole rich foods like cabbage can help to shrink uterine fibroids. Guavas are rich sources of vitamin C. Increasing the consumption of vitamin C rich foods like guavas can help to regulate estrogen levels of the body. Controlling estrogen levels of the body can help to shrink painful uterine fibroids. Furthermore, eating vitamin C rich foods can also help to control excessive vaginal bleeding. Heavy vaginal bleeding is one of the top indicators of uterine fibroids. 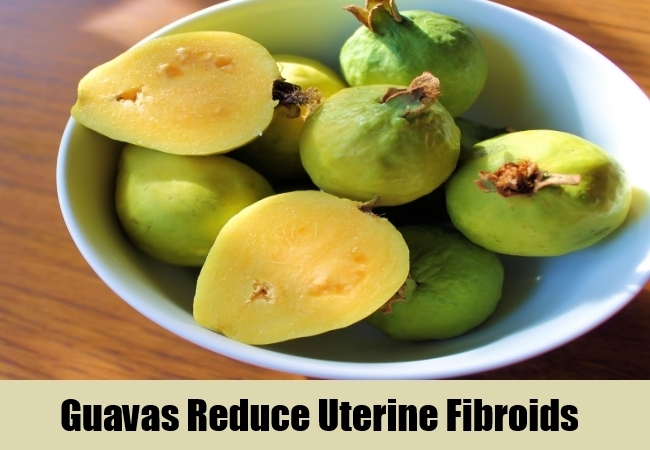 A single guava can provide as much as 126mg of vitamin C.
Women who suffer from painful uterine fibroids should make a conscious effort to increase their intake of fiber rich foods like whole grains. Whole grains like wheat, rye, oats, barley and brown rice are rich sources of soluble and insoluble fiber. Dietary fiber absorbs the excess estrogen in the body and removes it out of the system. Eliminating excessive estrogen out of the body can prevent estrogen dominance. 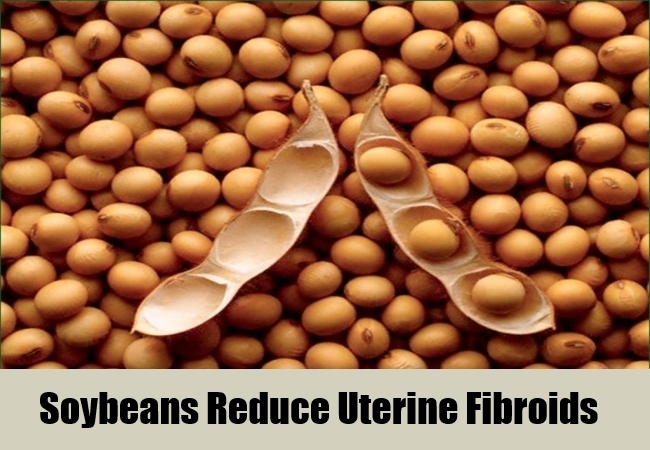 This in turn can help to shrink uterine fibroids. Non – vegetarians who consume a lot of red meats should switch to lean meats like fatty fish. Fatty fish is a rich source of essential fatty acids especially Omega 3 fatty acids. Omega 3 fatty acids can reduce inflammation inside the body. 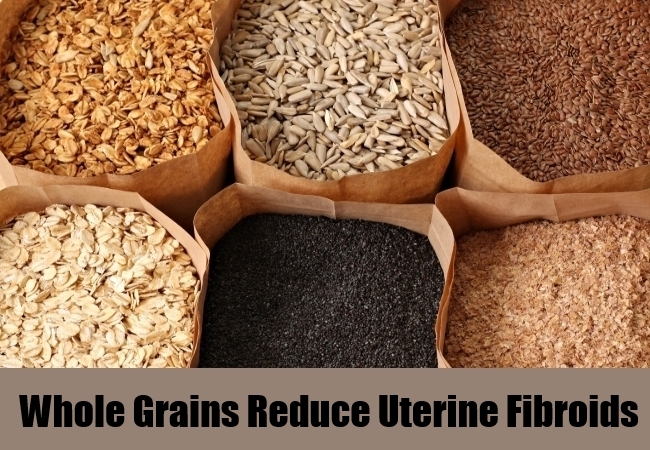 This can help to relieve some of the unpleasant symptoms of uterine fibroids. Eating fatty fish like tuna, salmon, mackerel and herring can also help to reduce overall fat content of the body. Reducing body fat content is a natural way to shrink uterine fibroids. 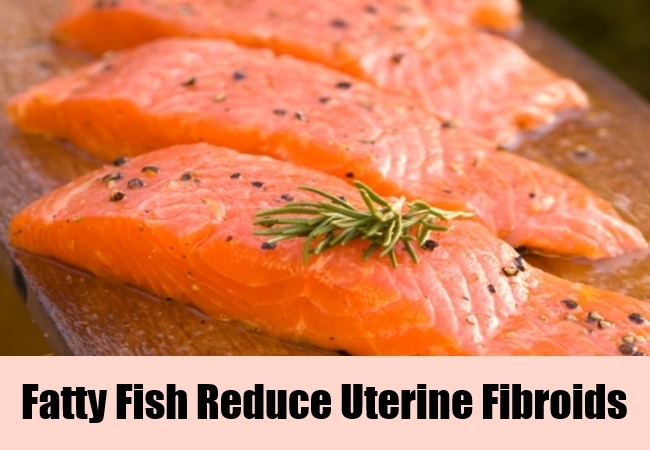 Additionally, fatty fish can also remove or flush out excess estrogen from the system. Reducing body estrogen levels is a natural way to shrink uterine fibroids. This entry was posted in Diet Remedies. Bookmark the permalink.